Phuket Babymoon. Celebrate your Pregnancy with a well-deserved Phuket Babymoon at The Westin Siray Bay Resort & Spa. Treat yourselves to a well-deserved babymoon. A maternity-break to celebrate your pregnancy. Escape to this rejuvenating tropical haven overlooking the magnificent Siray Bay with all you need to be at your best. 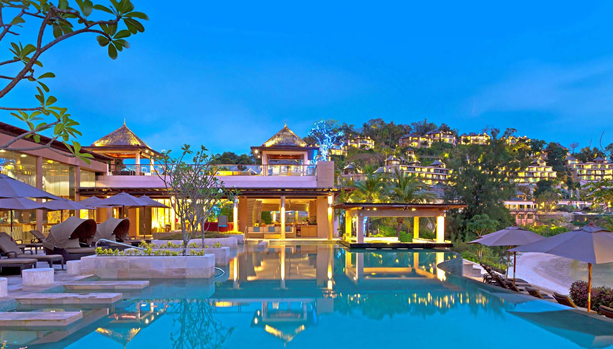 Situated on the exclusive east coast of Phuket, The Westin Siray Bay Resort & Spa, Phuket offers a rejuvenating tropical haven overlooking the magnificent Siray Bay with all you need to be at your best at your Phuket Babymoon. 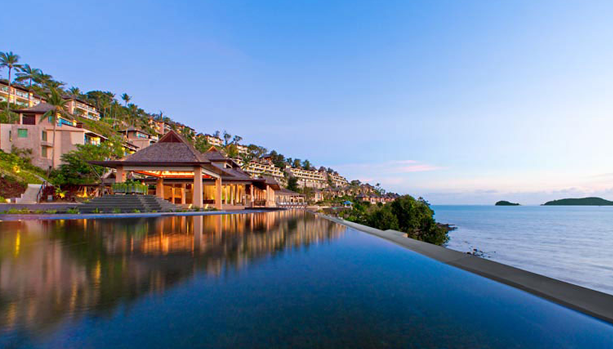 This luxury five-star resort boasts contemporary design and the renowned warm Thai culture, welcoming guests into this respite of tropical elegance. The resort is just minutes away from Phuket Town, cultural attractions, local markets, restaurants and shopping. From Phuket International Airport, transfers via private limousine can be arranged upon request. By the bridge, Siray Island is a quick 8 minutes from charming Old Phuket Town and 45 minutes from Phuket International Airport (airport code = HKT). Each of the 257 contemporary guestrooms, suites and pool villas offers ocean views of Siray Bay as well as the Heavenly® Bed, Heavenly® Bath, White Tea by Westin™ bath amenities, rainforest shower, LCD televisions, DVD players, outdoor balconies, audio jack packs and high-speed wireless Internet access. Other amenities include a refreshment centre, in-room safe, iPod® docking stations, private plunge pools in selected guestrooms and villas. Based on the Seven Pillars of Well-Being®, the Heavenly Spa by Westin™ will rejuvenate your body and restore your glow with signature treatments, as well as soothe your soul with a calming relaxation area. The scent of White Tea, the cool mineral touch of mud, the spreading warmth of heated stones, the soothing sounds of water. Surrender to an environment of rest and renewal, and get back to your best self. The signature spa brand of Westin, the Heavenly Spa by Westin™, provides you with a world of tranquillity and rejuvenation. The Heavenly Spa menu includes Heavenly Thai ritual, fragrant oil massages, post-sun soothing cocoon, purity facials, salon services and more. Choose your preferred treatments, and let our professionally trained therapists help you relax and recharge. A 15% Discount at Heavenly Spa is included in this Phuket Babymoon Offer. Relax and indulge in the delicious wholesome menu with options to tempt every palate in one of the six exquisite restaurants or bars. Seasonal Tastes, the all-day dining restaurant offers international, Thai and Indian cuisine as well as SuperFoodsRX™ dishes to nourish your body. EEST serves up modern Pan Asian dishes in a vibrant contemporary atmosphere. 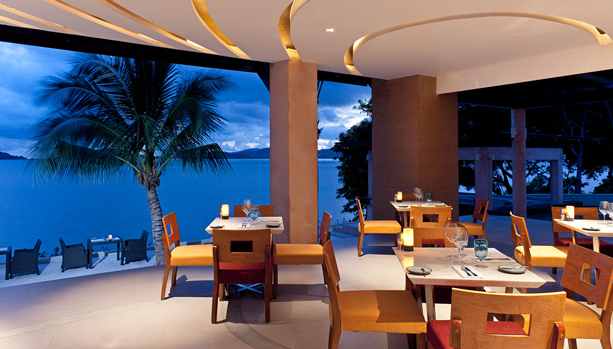 Savor authentic Italian cuisine at Prego by the Beach in a relaxed, lively setting. Mix Lounge features the perfect blend of casual elegance in a minimalist setting decorated in soothing earth tones. Located just off the lobby, the lounge is ideal for winding down over a refreshing cocktail (or mocktail for mom-to-be). 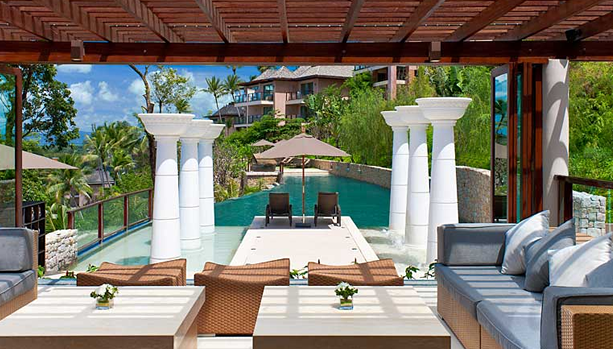 Relax in one of the plush loungers as you soak in the breathtaking views of Siray Bay. Splash is nestled at the highest point in the resort, next to the Splash Pool. 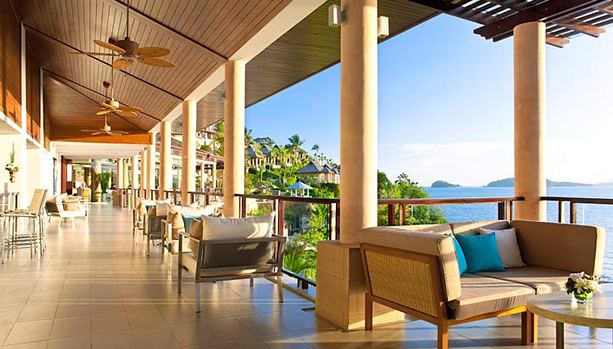 Splash is a comforting oasis with both the Andaman Sea and Phuket Town views. Replenish and restore with a light snack from this hilltop perch. Take a dip in the calm water of Siray Bay. Ideal for cooling off all year round, the private beach is set at the foot of the lush tropical hillside. 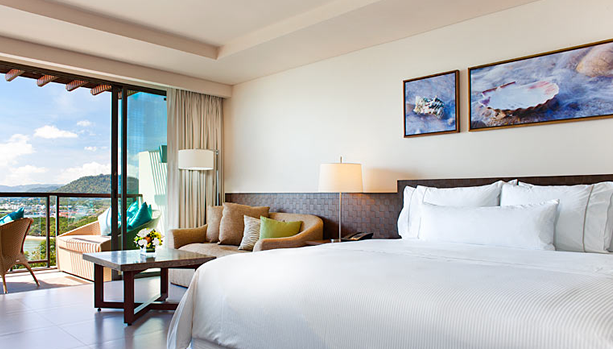 To assure guests’ comfort and enjoyment, Westin offers a beach hut with complimentary water, towels, and sun lounges. 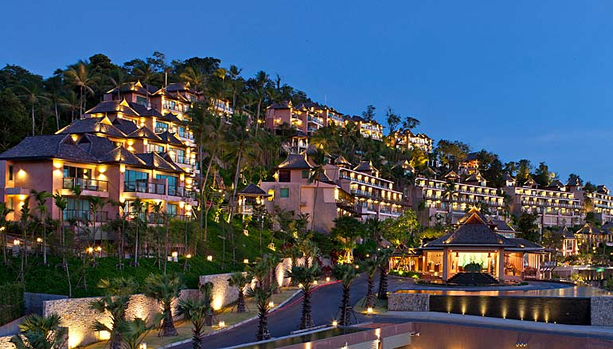 Three main pools at The Westin Siray Bay Resort & Spa, Phuket offer a range of atmospheres and views. Experience the exhilarating feeling of a swim in the infinity Horizon Pool, enjoy the sunset and a snack while dipping your toes in the refreshing Splash Pool, or be massaged by bubble beds in the Prego Pool. Horizon Pool; With the crystal blue sea as your horizon, our stunning Horizon Pool creates the sensation of swimming in the ocean. Relax on sun loungers in the sun or the shade as you nibble on a sandwich or snack ordered from Daily Treats or Seasonal Tastes. Prego Pool; Next to Prego Restaurant, this pool offers a patio area that is ideal for leisurely dining. With enticing bubble beds along the sides for a reclining massage, Prego Pool offers views of the ocean and private resort beach. Splash Pool; The highest pool in the resort, the Splash Pool offers a bird’s eye vantage that’s perfect for dipping your toes while taking in the sweeping ocean views, or watching the sun sink into Siray Bay over the connecting Splash bar. 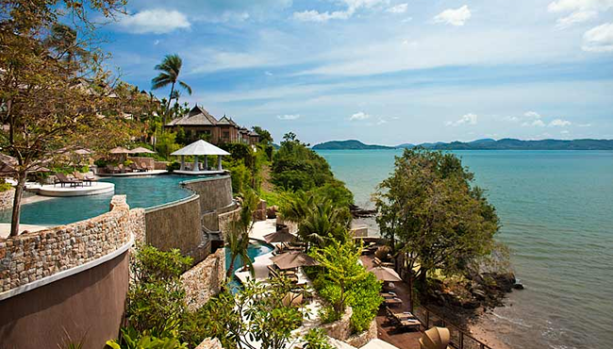 Ready for this pampering and well-deserved Phuket Babymoon at The Westin Siray Bay Resort & Spa?